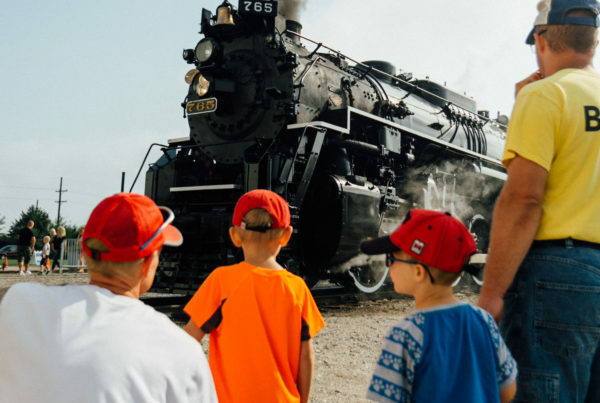 From a city park in Fort Wayne, Indiana to the world-famous Horseshoe Curve, ride along with the Fort Wayne Railroad Historical Society and its incredible time machine as it inspires and educates thousands throughout the Midwest. 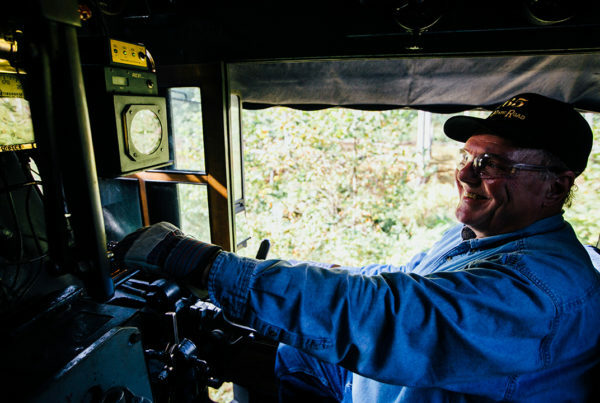 Created from over 4,000 hours of footage from 42 years of railroad preservation, LISTEN FOR THE WHISTLE is the first installment in a new series of videos from the Fort Wayne Railroad Historical Society, featuring exclusive on-board and behind-the-scenes access to steam locomotive no. 765. Produced in part with a grant from the Dailey Foundation, LISTEN FOR THE WHISTLE takes viewers through the history of the 765, starting with its construction in 1944, the railroad elevation project that sealed the engine’s fate, the 765’s original restoration in the 1970s, and its dramatic climb over Horseshoe Curve in 2012. With never-before-seen footage of the 765’s original restoration, to on-board cameras and interviews with the 765’s crew, LISTEN FOR THE WHISTLE is one of the most modern and in-depth films ever produced on a steam locomotive. LISTEN FOR THE WHISTLE also features the railroad historical society’s short film Travel Refreshed and the Blu-Ray edition features 20 extra minutes of behind the scenes footage from the 765’s first moves in 1979. 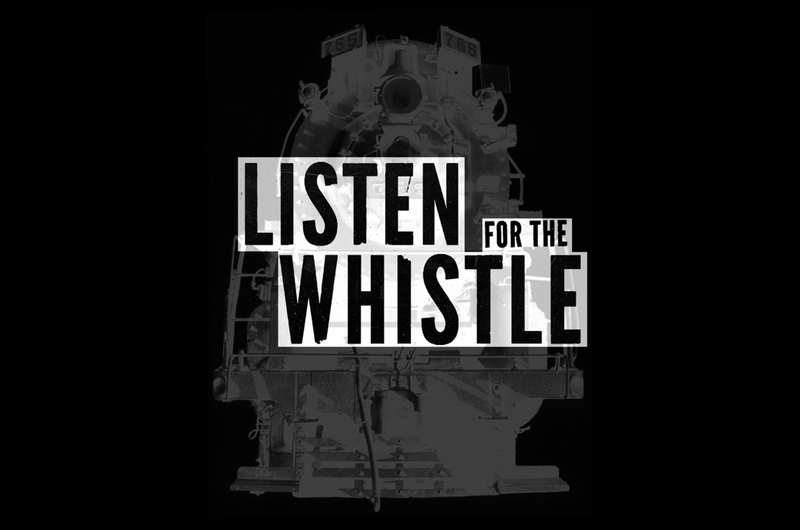 In addition, the railroad historical society is offering a brand-new audio project CD entitled LISTEN FOR THE WHISTLE: THE SOUNDTRACK. 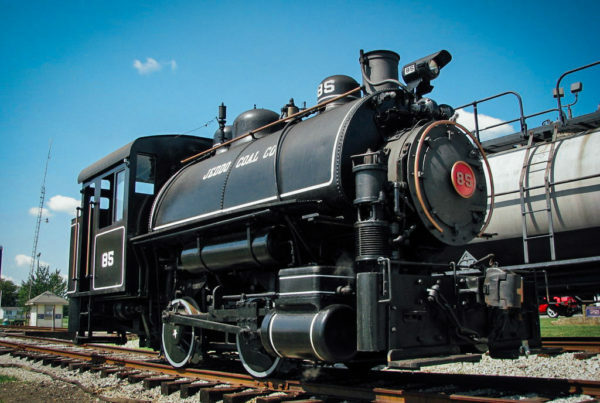 Available on CD or digital download, it features over 40 minutes of historic steam locomotive sounds and original songs about steam locomotive no. 765. Using audio of the 765 and vintage whistles from long-scrapped locomotives, the sounds of a historic era in railroading come back to life.